We’re delighted to announce that we’ve teamed up with Unacast, the leading location data platform, in order to offer advertisers and media teams total clarity into how cross-platform TV-to-digital campaigns drive location and store visits. Read the news here. Want to keep up-to-date on the latest advancements in TV and digital advertising? Then sign up for our newsletter to receive updates straight to your inbox! What is TV ACR and why is privacy an issue? Until recently, TV wasn’t as measurable a medium as advertisers and broadcasters would like. Quantifying the effect of TV campaigns on subsequent viewer behaviour was never easy, and extremely reliant on limited panels for feedback. Now, however, things have changed. With automated content-recognition (ACR) technology being built into more and more Smart TVs, said TVs recognizing what they are showing and an ever-expanding amount of viewing data being produced, it’s easier than ever before to understand viewership and quantify the effects that brands’ advertising has on their customers. But as is always the case where new avenues of data collection begin to open, making sure viewers’ privacy and rights are fully respected remains absolutely paramount. 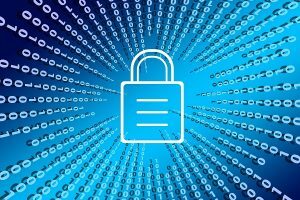 The Federal Trade Commission hasn’t been resting on its laurels either, and has taken the initiative on protecting users’ data and their right to opt in or out of its use. In February 2017, the FTC issued a new set of compliance standards that collectors of TV ACR data must adhere to. 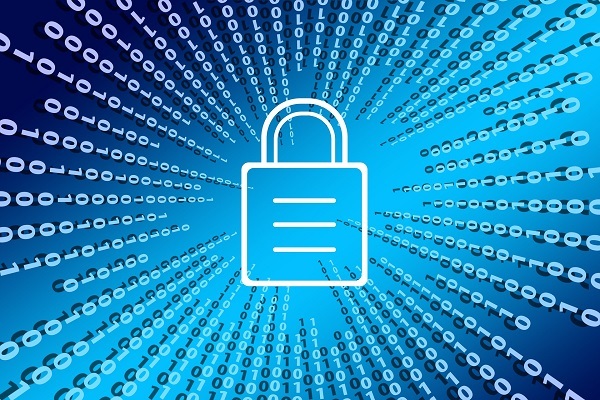 In essence, the new criteria ensure that all vendors engaged in data-collection must make it plainly known to TV viewers, as well as offer them an explicit option to opt out of having their data collected and used for advertising or audience targeting. Brands must remain totally aware of whether the vendors they work with are in compliance with such standards. If they aren’t, there exists the possibility that the FTC could require manufacturers engaged in data collection to cease doing so. If non-compliance goes public, very much a risk, the brand themselves may be left with extremely troublesome and expensive PR damage to deal with. The standards mean compliant, leading TV OEMs, like Vizio and their subsidiary Inscape for example, can busy themselves collecting data from viewers who have opted into allowing their behaviour to be measured this way. However, there are still other providers of differing types of TV ACR data that may yet fall under the eye of the FTC. Vendors who collect data via audio-based identification of TV content could be an example. Rather than working with TVs that recognize themselves what they are showing, these vendors use apps to listen in to try to identify what a TV in near-proximity is showing. 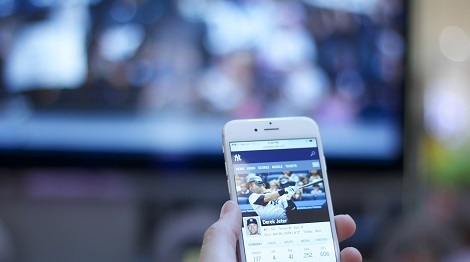 Apart from often requiring the app to be in use while the TV is showing specific content (meaning perfect timing is required for this approach to be of any use), this type of data collection has increasingly come under focus for what has been deemed an almost surreptitious way to collect data on TV viewers. If pressure and bad publicity follows, the FTC may act to curtail this approach. We’re delighted to have announced the launch of Smart Tune-In Attribution – giving TVadSync a superior way to drive more show and movie views for entertainment marketers via high performing cross-platform campaigns. Read more here. Want to keep up-to-date on the latest advancements in TV data? Then sign up for our newsletter to receive updates straight to your inbox! Last year Marc Pritchard, Procter & Gamble’s chief brand officer and marketer, made a startling demand – that the advertising industry clean up the digital media ecosystem or face losing millions of dollars in revenue from brands like P&G. Problems inherent in digital advertising, such as difficulties with ad fraud and brand safety, had elicited this castigation and Pritchard challenged the industry to drastically step up its game and prove the value and safety of digital. Since that inflection point, hard work has been done to move forward on the issues highlighted. However, while security of brand placement and media validity have been focused on, digital still suffers from a lack of receptivity from consumers as indicated by the prevalence of ad-blocking. One might argue that the problem resides in the fact that, with digital, advertisers just go where the consumers are, but not in a way that ensures impact is greatest. People don’t want to stand to have their surfing interrupted by ads. Pritchard himself highlighted this problem at DMexco last year: “Bottom line, it is time for marketers and tech companies to solve the problem of annoying ads and make the ad experience better for consumers”. Digital display media can often be a jarring addition to content someone is trying to view without distraction. Simply put, the person is not primed to be receptive. In addition, digital media can also lack context in terms of attribution. Ascertaining its influence compared to TV, for example, can be difficult when there’s a disconnect in measurability between the two in terms of a consumer’s path-to-purchase. This can only hinder advertisers’ efforts to make sure they are targeting the right people, with the right message, at the right time and place. 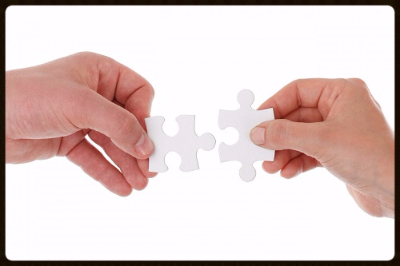 So how do brands solve the issues surrounding receptivity? This is where automated content recognition (ACR) technology in TVs is having a huge effect. TV ACR tech, built into millions of Smart TVs across the US, allows brands to understand what content people are actually watching (e.g. whether an ad was seen or not). This, along with being able to anonymously profile device ownership means advertisers can integrate their cross-platform campaigns in an extremely potent way. Viewers of certain TV content can be primed through the emotive power of that medium and then be retargeted online while in a much more receptive state of mind. A study conducted by the Advertising Research Foundation found that the combination of TV+Digital proved strongest in terms of generating ROI for brands, largely due to this ‘priming’ effect. To boot, being able to link the two platforms means brands can more deterministically explore how both influence subsequent consumer behaviour. Advertisers can jettison old methods of measurement (such as panels) where purchase attribution is concerned, for instance, and instead turn to behavioural models based on a combination of Smart TV, mobile and purchase analytics. In short, they can see for themselves how consumers behave, not simply how they say they do. Accuracy and scale of measurement improves greatly as a result. To sum up, digital has been asked some serious questions in the recent past and the industry continues to battle to make the kind of progress required by people like Marc Pritchard. However, there are real innovations occurring which are providing a tailwind – not least of all TV ACR technology, which is proving to be an extremely valuable piece of the digital puzzle. While revered by advertisers for most of its celebrated life, TV hasn’t been all that measurable. Brands have always been willing to pump vast amounts of their advertising budgets into running TV campaigns (undoubtedly the most affecting of media), but being able to clarify exactly who had seen their ads and how they subsequently were influenced has never been easy. Nielsen panels used to be the method of choice – but they relied on people telling you what they did or how they felt. The problem was that they didn’t show you. Hearing how audiences behaved and seeing how they did can, all too often, offer very different outputs. 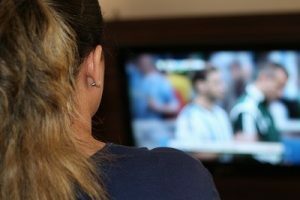 Now, however, more and more TVs are incorporating Automated Content Recognition (ACR) technology, giving them the ability to identify with perfect accuracy what TV content is showing in households – what people are actually watching. In addition, device-mapping techniques have also made it possible to see how users behave online and offline once they’ve viewed certain TV content, such as an ad. This has opened up key opportunities to brands and completely changed advertising forever. One way in which brands can capitalize on this is through cross-platform campaigns that use TV has the springboard. Advertisers can now retarget the mobile devices of customers who have seen their ad or a show that the brand wishes to associate with, for instance, and serve mobile campaigns at just the right time. By going this route, brands can effectively reforge a broken marketing funnel. It used to be the case that, because of the disconnected nature of TV and digital, the former could only do so much in terms of driving conversions from viewers. TV has always been excellent at ‘priming’ viewers for action – such as making a purchase, or charitable donation, or even simply visiting a store or website. This is largely due to the emotive nature of your favourite TV show or an affecting ad. But digital is often where the actual conversion takes place, and in the time between viewing a TV ad or show and visiting an e-Commerce site, for example, many potential customers can fall out of the funnel. By running real-time retargeting campaigns that target ‘primed’ viewers of specific TV content when on their mobiles, however, this leak in brands’ funnels can effectively be closed. For the first time the priming medium of TV can be used with the conversion medium of digital in perfect tandem to drive customers through the entire path-to-purchase. Not only is it possible for brands to reforge their marketing funnel to optimize the speed at which it converts (as well as minimize leaking), the new connectedness of Smart TVs and mobile devices can offer them an analytics feedback-loop never available previously. It’s now within their capacity to fully understand how their TV campaigns have influenced customers’ behaviour by (anonymously and through aggregation) assessing how their online activity changed. In addition, location-based mobile analytics can help brands get a picture of their targets’ offline actions too. All-in-all this has made TV advertising’s effect as measurable as mobile’s has been for years. In an era when advertisers are looking for as much clarity on where TV sits in their plans as possible, this is of revolutionary importance. The advent of Automated Content Recognition technology (or ACR tech) has fundamentally changed the way in which brands are able to build an understanding of their customers’ TV viewing behaviours and preferences. Specifically, it’s revolutionized how TV viewing can be quantified – making the world’s most valuable advertising medium as data-driven as mobile has been for years now. But where did it all begin? Shazam (known everywhere as a music identifier) began the shift when, in 2011, it began applying its own recognition software to the task of identifying TV content through audio signals. In 2012, DIRECTV formed a partnership with Viggle to provide interactive, second-screen viewing experiences via content identification. The ACR sea change was underway. It wasn’t until 2013, however, that things began to really get going for TV ACR – when Smart TV manufacturers began incorporating the technology in their machines. LG partnered with Cognitive Networks to advance its own ACR agenda. The latter was then bought by Vizio and later renamed Inscape. As Vizio’s share of the Smart TV market expanded, its ability to scale its own recognition software did too. And the technology was no longer reliant on audio signals either. ACR chips within the TVs gave the ability to recognize any content showing onscreen, leading to much greater identification accuracy. Understanding what a TV is showing as it hits the screen is proving a fundamental game-changer for advertisers looking to understand what their customers are tuning into. Through IP address-mapping techniques it’s now possible to anonymously tie TVs to households and aggregate viewing data, making profiling TV viewing habits much easier. This has led to myriad new cross-platform opportunities. Advertisers can retarget mobile devices connected to households that have seen certain TV content for example. Increased accuracy of audience profiling and segmentation based on TV preferences also presents a hugely valuable option to brands. But who are the biggest players in the Smart TV ACR area? Over the past few years three manufacturers have raced ahead of the chasing pack. Samsung, Vizio and LG currently own approximately 80% of the Smart TV market between them, with this figure likely to grow. Certain companies have partnered with a variety of Smart TV manufacturers in order to be able to offer advertisers the opportunity to leverage the mountain of data that TVs are now producing. When choosing an ACR partner, however, savvy brands should look only to those partnered with the Big Three manufacturers in order to be able to tap into the kind of scale and accuracy now available. What is the future of TV ACR? Right now, the Big Three appear poised to continue (and expand on) their dominance of the Smart TV market. The market is itself growing rapidly and the yearly number of Smart TVs shipped has already eclipsed so-called ‘dumb’ TVs. This all means that opportunities stemming from TV viewing data will continue to explode, with the value of the TV ACR market poised to reach $5 billion by 2021. However, that data will almost certainly be concentrated among the three largest manufacturers, meaning the go-to guys for audience profiling or cross-platform opportunities will be companies working with these data providers. But the efficiencies possible through a vastly improved understanding of audiences, and how campaigns and content influence them, are turning this into an area of critical importance for brands who want to thrive, or even survive. And the change isn’t coming – it’s already here. Who’s glued to the Winter Olympics? With the Winter Olympics in full swing, we decided to take a look at how people are tuning in across the US and which states are most engaged. On average, approximately 35% of US households have watched the games so far. On the whole it’s (unsurprisingly) been the chilly northern states that have found the games most engaging. Montana, North Dakota and Wisconsin have all tuned in at a rate of about 15% higher than the per capita nationwide average for example. The southern states, however, haven’t shown a huge amount of interest with Alabama, Georgia and Mississippi in particular declaring a collective ‘Meh’. Arizona doesn’t seem bothered much either, with tune-in rates there over 21% less than the nationwide average. Alaska has provided a bit of a an eyebrow-raiser, barely pushing above 1% higher than the mean. Hawaii, on the other hand, has found the games very gripping so far with tune-ins reaching almost 22% above typical rates. This could be down to several of factors including the closer timezone and large number of Korean-Americans in the state. Or maybe the sun-soaked folks in Honolulu are just fascinated with snow! Check out the interactive map below for more details. 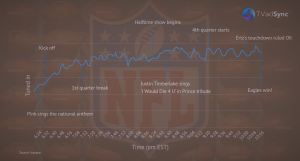 One of the highlights of the year, and Americana in general, the ‘Big Game’/’Sunday Before Valentine’s Day/’Superb Owl’ (kudos to Stephen Colbert on that last one) has been exciting TV viewers for decades. This year was no different and provided fans with an epic match and a new champion. 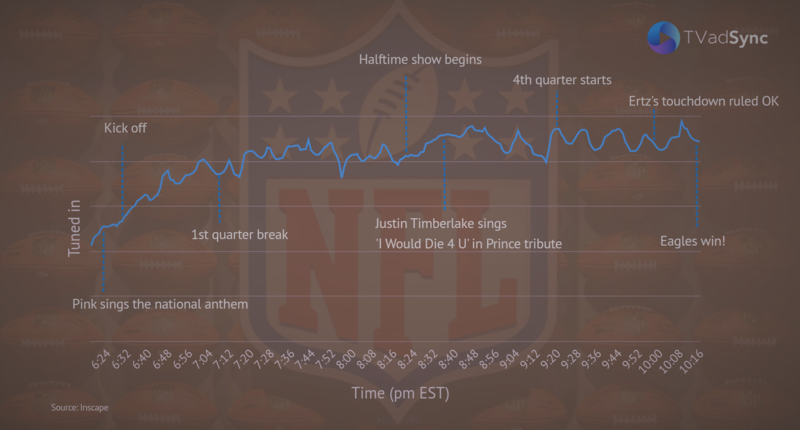 But for anyone (see: advertisers) curious to know just what exactly viewers found most engaging, and what had them tuning in and out, we’ve put together a little chart giving you those insights. Click on the image below to have a look!